I’m a few beats behind, apparently. The part that really amazes and humbles me is that the people we were working with are these incredible, talented and able people. Two different groups of people shooting two completely different songs – one from our first album, one from the second. Two completely different feels, and different story lines. camera in our faces during “Purge” shoot. Bizarre sensation. One part that I especially appreciated is that during both shoots, if there was a moment of downtime while the directors were setting up a shot (i know what that means now) or they were prepping a dolly ( i know what that means too) Mike and I would turn and look at each other and one of us would say “WHAT?? ?” and the other “Right? 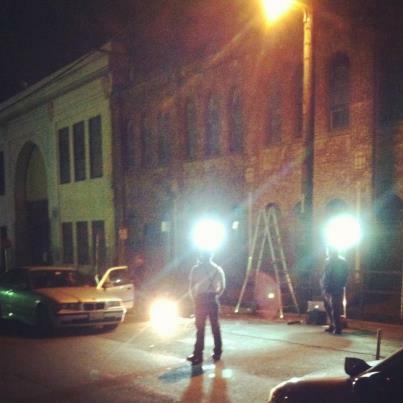 ?” (translation: “are we seriously shooting a music video right now? is this who we are in this moment?” response: “hell yes. this is who we are. we are goddammed rock stars. However, I am equally shocked.” ) I love that we were both experiencing the same thing. We, as a team, are collectively really tired. It has been a hell of an amazing and successful month. We get to preview the first draft of our “Purge” video at the end of this week, and we are so flippin excited to see what Sarah put together! 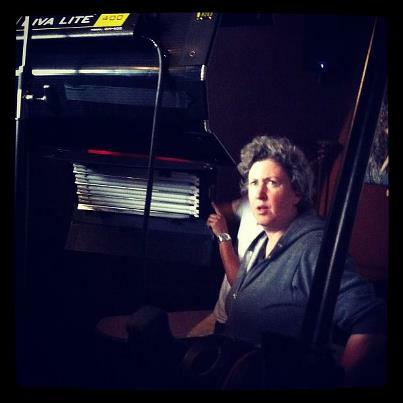 Sarah Dunham – Director of the “Purge” video. Brilliant Film Maker. Love her. Blessed. Now that I’m home and it’s quiet and I’ve gotten a little sleep I feel monumentally blessed.